"Brenton Thwaites has nabbed a key role in Pirates of the Caribbean: Dead Men Tell No Tales, Disney’s latest Jack Sparrow adventure." "Johnny Depp is back as Jack Sparrow, as isGeoffrey Rush, playing Barbosa, in the big tentpole that will shoot for five months next year in Australia." 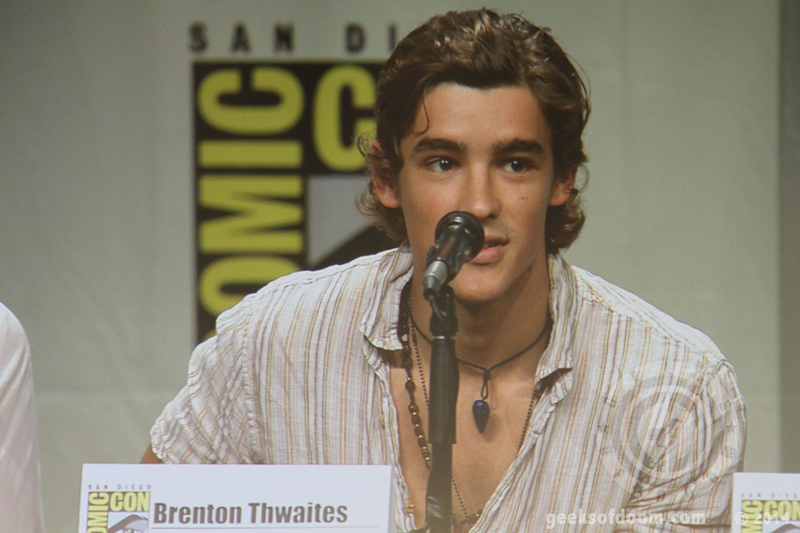 "Thwaites, who is in final negotiations, will play an Orlando Bloom/Will Turner equivalent in the new movie. The character’s name is Henry, and he's a British soldier." Edited by AdaShelby, 23 November 2014 - 08:48 PM. I thought Pirates 5 was cancelled. No, it's set for release in 2017. Orlando Bloom has expressed interest in returning, but its rumoured Brenton Thwaites has replaced the "Turner-shaped whole" in Pirates 5. Edited by AdaShelby, 23 November 2014 - 08:43 PM. Great news! Love this franchise. I love this franchise too but none of the movies that have been made have really been as good at the first one.. though the second one wasn't bad. 1 is easily the best, the second one is okay and three was downright bad.. 4 was just trying too hard. Agreed, on all except 4. I don't think it was trying too hard. It wasn't trying at all. 4 gets the nod over two and three for me because there's no Orlando Bloom and Keira Knightley... even in the first movie I wanted to reach through the screen and strangle them both! Despite hesitations I do believe that Pirates 5 will be an improvement on Pirates 4, although I don't necessarily think it was a bad movie, I don't think it was a great movie because it had some issues, which was a shame cause this series has so much potential to be great. Caught the beginning of 3 yesterday... I forgot how fun the whole Singapore sequence was. If we can get a more rousing, swashbuckling plot akin to the first film and moments like this (without so many mystical elements) I think 5 could be a great film. Edited by AdaShelby, 14 December 2014 - 01:03 AM.